Stokke V3 Xplory - pre-order now at Minimee! Stokke V3 Xplory – pre-order now at Minimee! 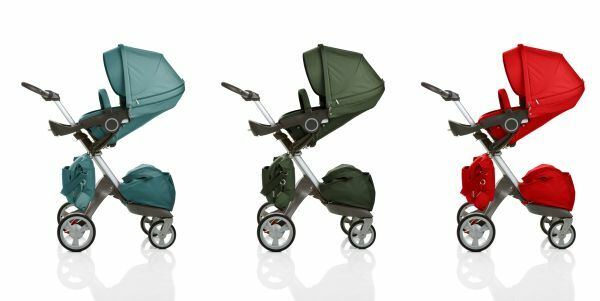 The launch of the Stokke V3 Xplory is so close now, we’re going to see the new breed of Stokke baby transportation on our pavements before we know it! Pre-orders are now available on this beautiful machine at Minimee who are also offering free shipping for a short time. Delivery will be in October so place your order now to be one of the first V3 owners in Australia. Also available for pre-order are all the new accessories for the new model Xplory so you can be fully kitted out when it’s delivered. With its unique height adjustability, the Xplory has given parents and children a whole new perspective on getting from A to B. More than just a stroller, the Xplory offers baby comfort, security, interaction and a good view of the world wherever you go. There are two ways to order your V3 Xplory – one option is to order the complete pram with carrycot for $2249.95 or order the seat-only option for $1799.95. Don’t forget your accessories and remember that shipping is free for a limited time only! Don’t forget to check out our great pram Chooser to compare this pram with others on the market. The new V3 will be uploaded soon!